Philadelphia: University of Pennsylvania Museum of Archaeology and Anthropology, 2009. 226 pp. $55. 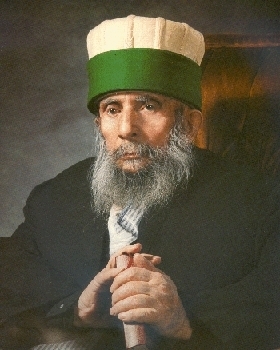 Trix, an anthropology professor at Indiana University, recounts the life of a leading Balkan and American Muslim mystic, Rexheb Beqiri (1901-95), a prominent leader of Bektashi Sufism and founder of the Bektashi meeting house or teqe in Michigan, the first in America. 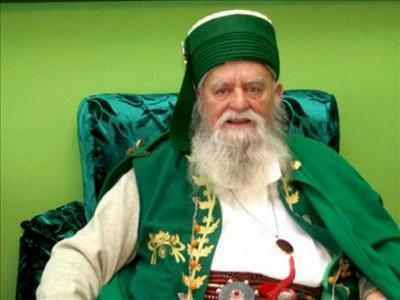 With the support of Albanian-American Bektashis, Sunnis, Catholics, and Albanian Orthodox Christians, he created his Sufi establishment, which continues as a major Albanian- American institution today. For centuries, Bektashis were a pillar of the Ottoman Empire, the spiritual guides of the Janissaries – soldiers created mainly through the drafting of Christian boys and their forcible conversion to Islam. 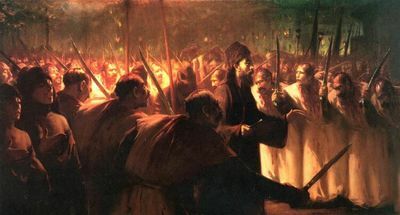 With the abolition of the Janissary corps in 1826, the Bektashis also fell out of favor, eventually being officially suppressed (along with other Sufi orders) by Atatürk in 1925. In response, the center of the movement shifted to Albania where Beqiri was born. 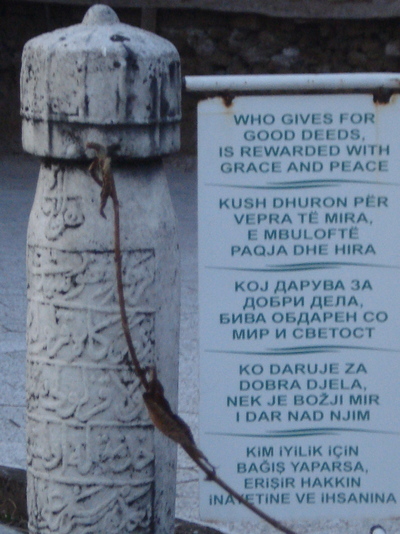 Rahmetli Haxhi Bektash Veli, founder of the Bektashi Sufi order, CE 1209-71, may Allah be well-pleased with him. Despite their once-favored position, Bektashis have also long been viewed with suspicion by other Muslim groups. Part of this is based on their adoption of certain Christian habits such as celibacy (prohibited in conventional Islam but practiced by the majority of the babas, their spiritual leaders). Adding to the distrust is their affinity to Shiism, seen in the Bektashi veneration of Ali, cousin and son in-law of Muhammad. Lastly, their belief in gender equality and prominent inclusion of women in their activities makes them suspect as well. The author notes that Bektashi Sufis seek to maintain a distance from both Sunnis and Shiites. Although the Royal Islamic Strategic Studies Center in Jordan included the Bektashis within the Islamic global community in earlier editions of The 500 Most Influential Muslims, they were left out of the 2012 roster, reflecting the reality that their status is not accepted by all. Bektashis also played a prominent role in Albanian independence from the Ottomans in 1912, promoting the publication of books and schools in the Albanian language – both then banned by the Ottomans – and participating in a 1908 congress that adopted a Latin-based [Albanian] alphabet. However, in the face of attacks on religion in communist Albania by dictator Enver Hoxha, Beqiri, along with other Bektashis, fled to Cairo. Egypt's then-king Farouk was of Albanian descent and favored the expatriates, but this respite was short-lived. The Egyptian Free Officers revolutionary movement of 1952 resulted in a fatwa (religious edict) by Al-Azhar University in Cairo declaring the Bektashis outside Shari'a (Islamic law), and in 1957, the Egyptian regime confiscated their property. By then, Beqiri had already escaped again, this time to America, specifically to Taylor, Michigan, a Detroit suburb. 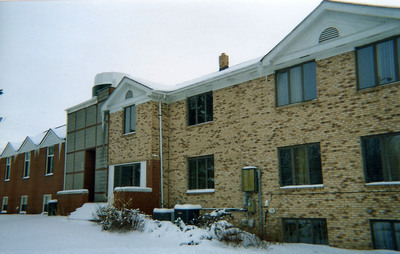 The First Albanian Bektashi Teqe in America, Taylor, Michigan. Photograph 2009 by Stephen Schwartz. 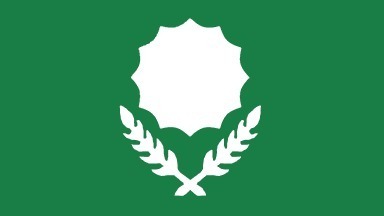 The Bektashi foundation established in Michigan in 1954 remains important mostly among Albanians in the Balkans and elsewhere in their diaspora communities. The Bektashi Sufis are avid supporters of America. At their first Ashura celebration commemorating Imam Hussein, grandson of Muhammad, Beqiri praised the imam for defending a constitutional attitude toward religious rule, liberty, and the welfare of the people. Following the 9-11 al-Qaeda attacks, the Bektashi leader in Albania, the late Reshat Bardhi, referred to America as "the pride of this world . . . May Allah be, as always, on the side of the American people and the American state!" Although ignored by Trix, Beqiri's thoughts are best summarized by his comments in 1954: Hussein, he said, "kept alive the flag of liberty, the prestige of religious democracy." By this, Beqiri meant democracy within religion, not a political system based on religion as in the spurious kind claimed by the Muslim Brotherhood. As Beqiri also noted, the Muslims rebelled against the injustices of their rulers at the Battle of Karbala, but evil usurpers replied with "terroristic actions." In his own way, Beqiri anticipated the challenge to Islam in the aftermath of the atrocities of September 11, 2001. 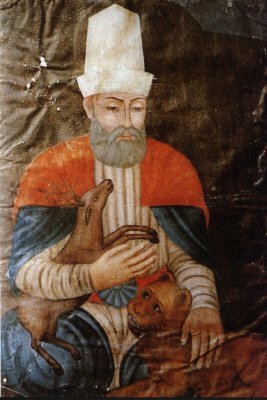 Rahmetli Baba Reshat Bardhi, may his mystery be sanctified. The Tenth of Muharram [Ashura], by Ottoman court painter Fausto Zonaro (1854-1929). Trix's account touches on the collapse of the Ottoman Empire, the history of Sufism in its Turkish, Persian, and Arab varieties, and numerous other matters, illustrating the overlap of Muslim Asia with the Muslim Balkans. She has contributed a volume worthy in its detail, if somewhat overshadowed by personal sentimentality - she fell under Baba Rexheb's profound influence - making this book "ethnographic" in its methodology rather than manifesting the "doctrinal" approach visible in many studies of Sufi mysticism. The 500 Most Influential Muslims, Royal Islamic Strategic Studies Centre, Amman, accessed Dec. 7, 2012. Stephen Schwartz, "Ashura in America," The Weekly Standard Blog (Washington), Jan. 18, 2009. Stephen Schwartz,"Kryegjysh Boterorë Haxhi Dede Reshat Bardhi, 1935-2011," Illyria (New York), Apr. 15, 2011.